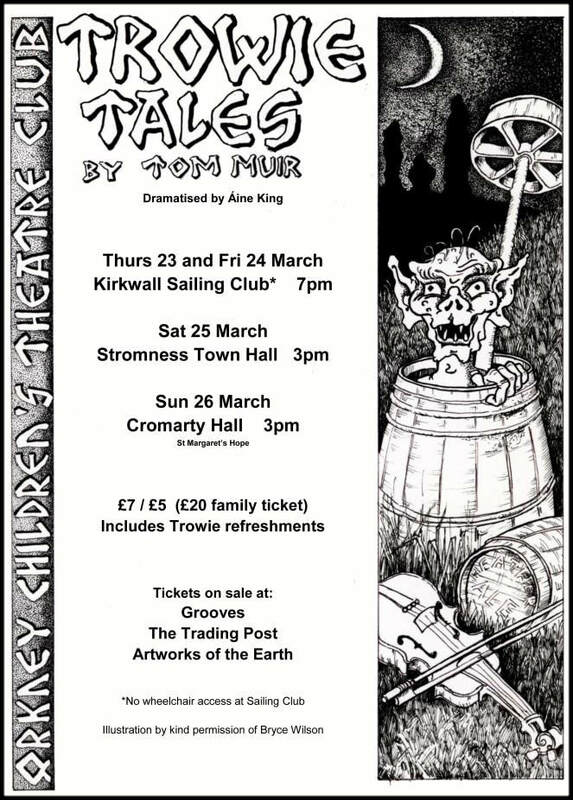 ​Tom Muir’s ‘Orkney Folk Tales’ has long been a best seller in the Northern Isles. 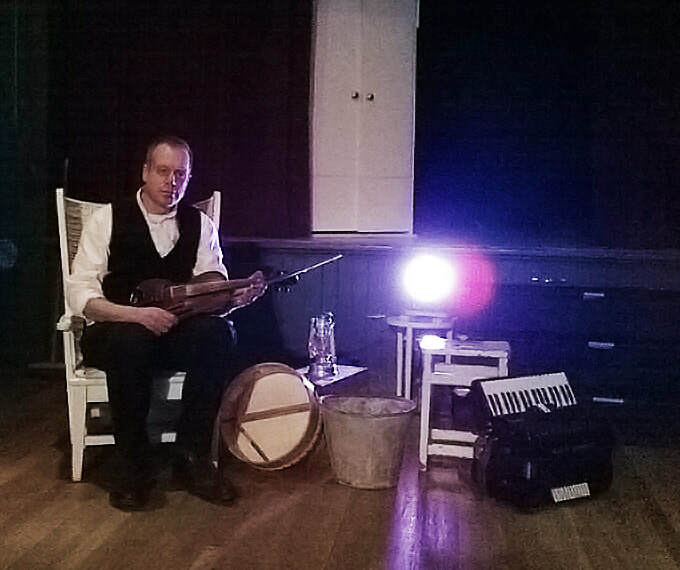 In 2016 Tom gave Áine permission to adapt the book to create an exciting ensemble play for story-lovers of all ages, incorporating live music and a chorus of dancing trows (the Orkney version of trolls or goblins.) Áine co-directed the play with Ragnhild Ljosland, and a team of volunteers created costumes using only recycled materials. 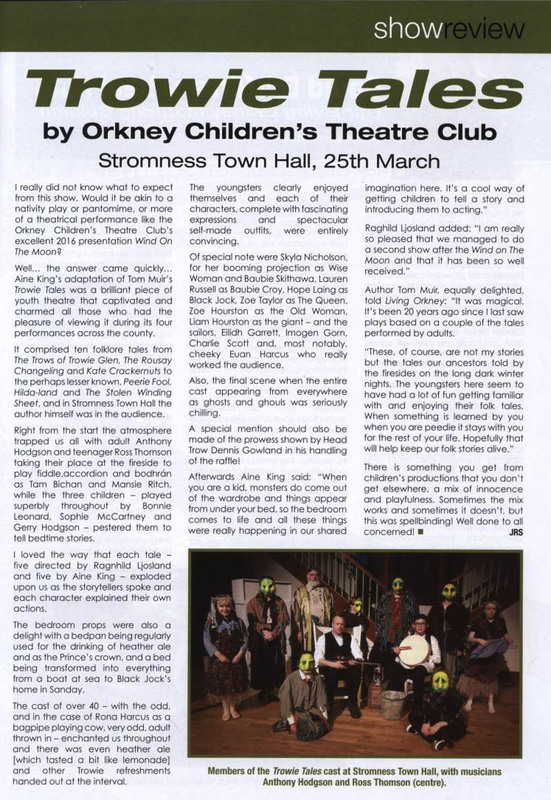 Trowie Tales was performed in three different locations in Orkney, and the Children’s Theatre Club is now an established community theatre group.